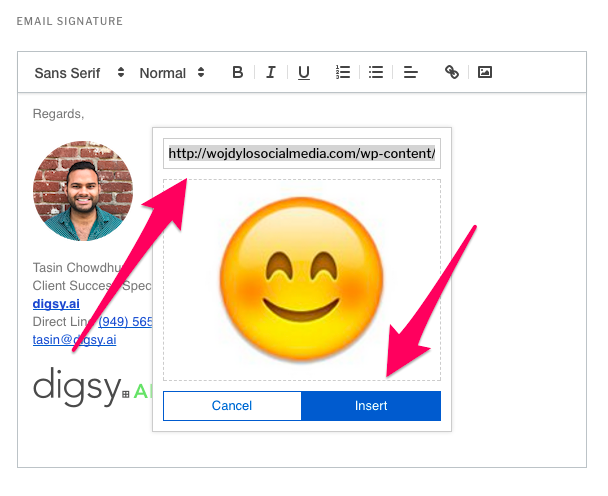 Want to customize your Email signature even further and add an image? Follow these simple steps and you'll be on your way. Redirect from the home page to your Account Settings by clicking on your name in the top right corner. 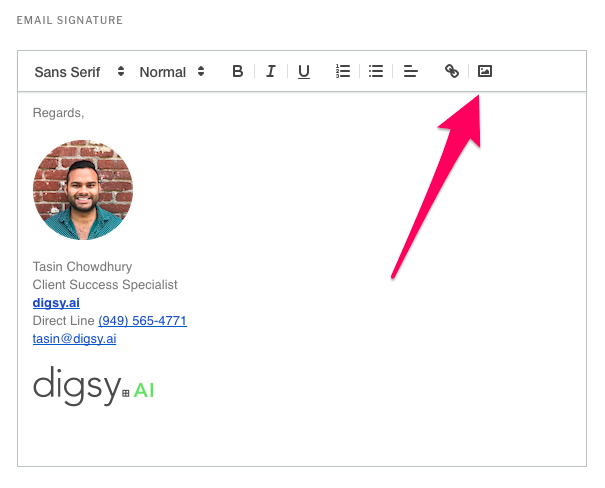 Once you are in your account settings, scroll down to your Email signature and click on the image icon and copy and paste the image link into the address bar found in the pop up window. This will preview the image. Click "Insert" to plug the image in. Make sure to save changes after the image is in place and you are good to go. 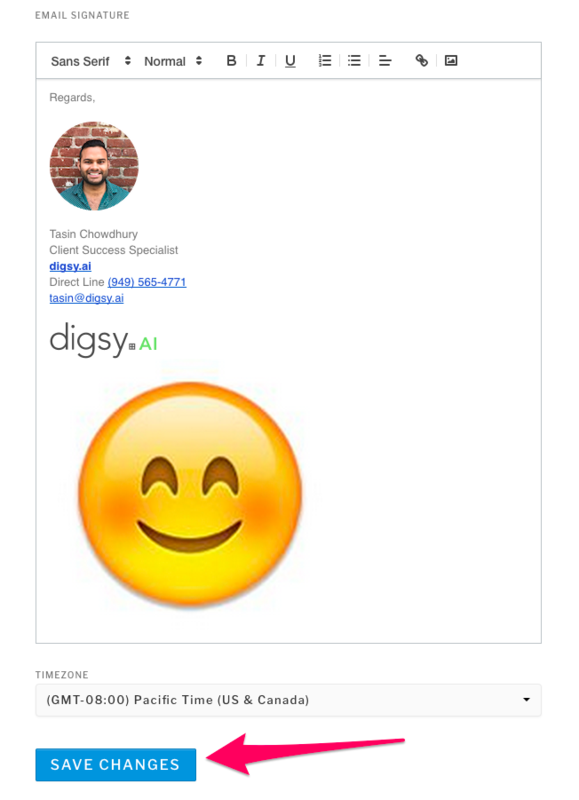 If you are still having issues getting an image into your email signature, let us know by sending an email to care@digsy.ai.